Boil chicken in water for about 1 hour until cooked. Remove chicken and cool. Add remaining ingredients and simmer until veggies are tender. Debone chicken and add to soup. Enjoy! 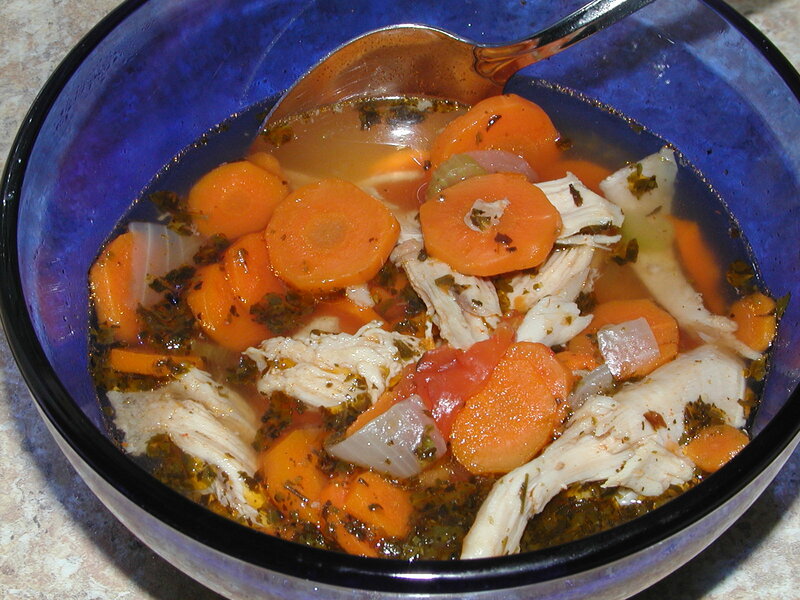 Tip: Throw the bones, skin, cartilage, etc., into a crockpot with ¼ cup apple cider vinegar, cover in water, and simmer for 48-72 hours for a delicious gut healing bone broth.